The rain drew the children out of their houses. As the first rainfall in over six months to come to Wadi el Lega, a tiny desert settlement in South Sinai, this was cause to celebrate. Rain, after all, brought green shrubs for the camels and goats to eat; rain re-filled the cisterns; rain signaled an end to the fierce summer heat. The children raced and shrieked as the rain fell harder and harder. Inside their brick houses, the parents smiled and thanked God. It was only October; such a rare early rain promised a good, wet winter. About 30 minutes went by. Then quite suddenly, the squeals outside turned to screams. "Someone began yelling that three children had been swept away by the water," recalls Hussein, a member of the Mzeina Bedouin tribe settled in South Sinai. "The water was like a sea. It carried the children away. They found two of them, but there was one little girl they couldn&apos;t find. They later found her when the rain stopped. She had drowned." If these storms in the Sinai are indeed products of global climate change, then the data shows they won&apos;t be going anywhere; rather, they could become the norm. Flash flooding has always been a danger in the valleys at the base of the Sinai Mountains. The hard, dry ground can become saturated in an instant, allowing torrents of water to rush down the mountain like a waterslide, wiping away stretches of road and razing whole villages. But, historically, such floods were few and far between. It&apos;s only in the last few years that things have started to change. 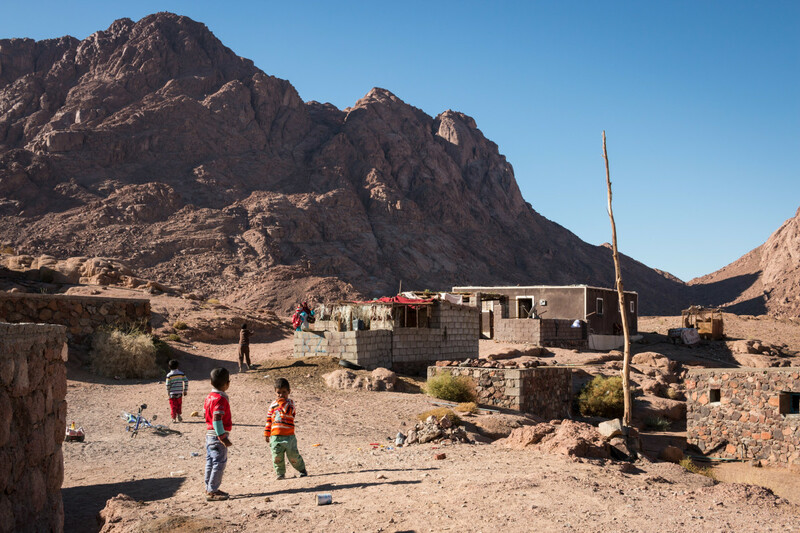 The Sinai has now been hit by a series of fierce, unexpected, and unprecedented floods, and its people are struggling to protect themselves from the torrents. "Ten years ago, we had rain maybe once a year," says Haj Jabali, a 65-year-old resident of St. Katherine, a town in the mountains above Wadi el Lega. "These last few years, it&apos;s been far colder and we&apos;ve had a lot more rain. The rain for us up here, it&apos;s a good thing.... But the rain can get up to one or two meters high down in the valley, like a sea." In a country with an annual average rainfall of 41.4 millimeters, such fierce rainstorms have caught the people and their government off guard. As of now, Egypt simply does not have the infrastructure to cope with these increasingly frequent floods. About 20 minutes&apos; drive from St. Katherine, down in the valley called Sebaia, Haj Ibrahim has built a dirt mound wall about half a meter high around the periphery of his family&apos;s settlement in an effort to keep the water from rushing into their houses. 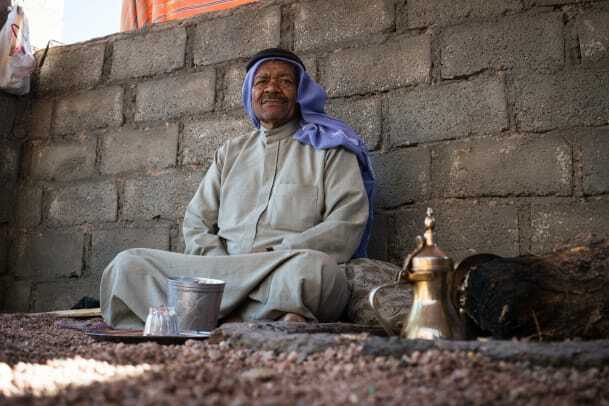 "Normally, the rain falls into the ravine and it&apos;s OK," Ibrahim says. "But if it comes down really strong like it has the last few years, then it overflows out of the ravine and then it can become dangerous. It can flood into people&apos;s houses." As residents struggle to adapt to the rainstorms, simple retaining walls like Ibrahim&apos;s have become common sights in the wadis, or valleys, of South Sinai. Tribal elders such as Jabali see these rainstorms as flukes—an odd interruption in their seasonal routine that will soon pass. And that&apos;s entirely possible, says Michael Wehner, a senior staff scientist for the Lawrence Berkeley National Laboratory. Meteorologists have been hesitant to definitively attribute short-term changes in precipitation patterns to the long-term effects of man-made climate change. However, a 2013 study by scientists from the Lawrence Livermore National Laboratory showed that natural variability can&apos;t account for all the observed changes in global precipitation. It would seem, then, that global climate change is certainly a culprit behind this uptick in extreme rainstorms. "In such storms, the air is nearly completely saturated. And in warmer climates, that saturation level increases as it gets warmer," Wehner says. "Hence, many individual storms have been formally attributed ... to the human induced global warming." If these storms in the Sinai are indeed products of global climate change, then the data shows they won&apos;t be going anywhere; rather, they could become the norm. For Mohamed el Raey, a professor of environmental studies at Alexandria University, there is little doubt: These storms are a direct result of global temperature rise, and Egypt is fated to see more of them. "An increase in temperatures will lead to an increase in the severity and frequency of extreme weather events," el Raey says. "To put it as simply as I can, the histogram of temperatures is shifting, making it more likely for extreme events to occur." To put it even more simply, as the planet warms, water on the surface of lakes and oceans evaporates more quickly. At the same time, the warmer the atmosphere gets, the more moisture it&apos;s able to retain. This means that warm places such as Egypt go longer without rain, as evaporated water accumulates in the atmosphere—and when it does finally rain, it pours. el Raey wrote as much in a 2010 paper in the journal of Regional Environmental Change, where he looked at the effects of climate change in the Mediterranean basin. "Global climate model simulations indicate that there shall be a decrease in yearly average [rainfall] values but that the return period for heavy rainfall events may decrease," he wrote. "[This] should lead to an intensification of flooding during the rainy period." So far, el Raey has found his predictions to be ominously accurate. "These extreme weather events started to show up in December 2010, and they&apos;ve become more and more common," he says. Despite decades of warnings by el Raey and his peers in the academic community, the more immediate problems of political instability and economic malaise have taken precedence over the projected danger of climate change. As a result, Egypt now finds itself largely unprepared for this onslaught of severe storms—and the sparsely populated, economically marginalized Sinai region is the least of the country&apos;s worries. In October, President Abdel Fattah el-Sisi found himself facing rare and stinging criticism after heavy rainstorms killed six in Alexandria, forcing schools, businesses, and government offices to shutter for days. Dramatic photos of buses floating in five feet of water were plastered all over the front pages of the national newspapers. The governor of Alexandria was forced to resign for failing to prevent the disaster. But in reality, the city&apos;s problems began long before the recently elected governor came to power. "Entire parts of the city have been built below sea level, but people don&apos;t realize this," el Raey explains. "The water collects in these areas and floods the entire first floor of some buildings." Alexandria&apos;s other main problem is that it grew far too fast for its sewage and drainage infrastructure. The city used to have two sets of underground canals: one that drained rainwater back into the sea, and one that directed sewage water toward a treatment plant. But by 1987, with the city&apos;s sewage system overflowing, the government opted to turn the rainwater canals into extra sewage canals, diverting them from the sea to the sewage treatment plant, according to el Raey. This was only ever intended to be a short-term fix, but today the city still operates without a rainwater drainage system. 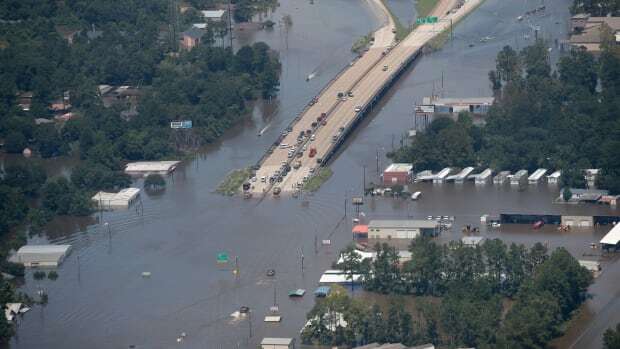 This wasn&apos;t a major issue when Alexandria was receiving 7.4 inches of rain per year. But when hit with 10 inches of rain over a two-day span, as was the case in October, the city will all but sink. "The government of Alexandria was not really aware of this problem, they were not prepared," el Raey says. "There must be proactive planning." Global leaders meeting in Paris for the COP21 Climate Change Summit are expected to draft new international regulations on greenhouse gases. But even if leaders do succeed in limiting future global warming, the current precipitation trends are likely to continue, Wehner says. "This means we can expect to see less normal rainfall, more droughts, and more extreme events," el Raey adds. Densely populated industrial cities like Alexandria can probably expect some hustle from their government to mitigate the effects of these changing weather patterns. Sisi, for his part, has already allocated $130 million to revamp Alexandria&apos;s sewage system. But tiny settlements such as Wadi el Lega and Sebaia, far outside Cairo&apos;s field of vision, are easily forgotten—and easily swept away. This story was supported by the Earth Journalism Network, a journalism non-profit dedicated to the empowerment of environmental journalists from developing countries around the world. 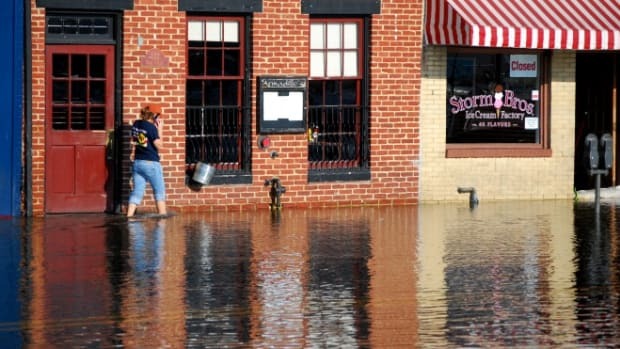 Minor floods are afflicting parts of Maryland nearly 10 times more often than was the case in the 1960s. The global environmental change community has gathered in London and online this week to forge a more effective voice on sustainability. 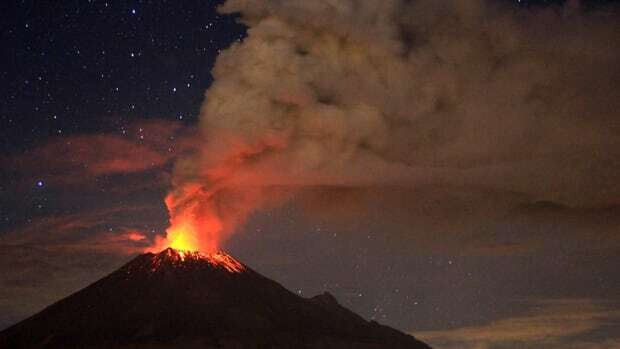 A new study links explosive volcanic eruptions with social unrest.